Mobile phone cashback schemes are still letting down too many consumers, says the telecoms regulator. Ofcom continues to get hundreds of complaints every month about the controversial deals, despite a new industry code of practice. The consumer organisation Which? wants cashback schemes banned, after research found a number of offers were in breach of the rules. Mobile phone companies insist they take the code very seriously. Cashback deals are offered to customers who take out new contracts, and promise to refund some or all of their upfront costs at a later date. Often funded by commissions from the phone network, cashback can help persuade customers to sign up to expensive price plans. But the deals have proved controversial because the terms and conditions can be difficult to understand, and even harder to meet, meaning thousands of people fail to claim. In many cases retailers have gone bust before consumers have received their cash. 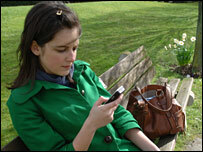 By March 2007, Ofcom was receiving 500 complaints about mobile phones every month, with half referring to cashback deals. In July it brokered a voluntary code of practice with the five mobile phone networks. This set out minimum standards for the marketing and administration of cashback deals, and listed terms deemed "unreasonable". Ofcom supported the industry code on the basis that it would lead to a "significant" reduction in the volume of cashback complaints. "We believe the number of complaints is still too high," said an Ofcom spokesman. "We are now talking to both the mobile operators and the retailers and are looking at implementing other measures to give consumers more protection," she added. Further announcements are expected in the new year. The consumer organisation Which? says it also receives hundreds of complaints about cashback deals. It cited one customer who had to send 30 emails before receiving £223 cashback. Another lost more than £600 when his mobile phone dealer collapsed before paying out. When Which? checked ten dealers' websites in October, it found offers on six of them breached the industry code. "We think mobile phone cashback deals that make customers jump through hoops to get their money should be banned," said editor Malcolm Coles. "Thousands of people have already lost money through these dodgy deals, so don't touch them with a bargepole," he added. The mobile phone operators insist they take their obligations under the code very seriously. Vodafone said it continues to communicate with its dealers and distributors, and remind them of their responsibility to treat customers fairly. "If we see that offers are non-compliant with the code, then we will take action to rectify the situation," said a spokesman. Orange said it has recently reissued strict terms and conditions on cashback deals to ensure high standards of customer service. A spokesman said the company had stopped 100 dealers selling Orange phones in the past 12 months because they failed to comply with the rules. How smart does your phone need to be?